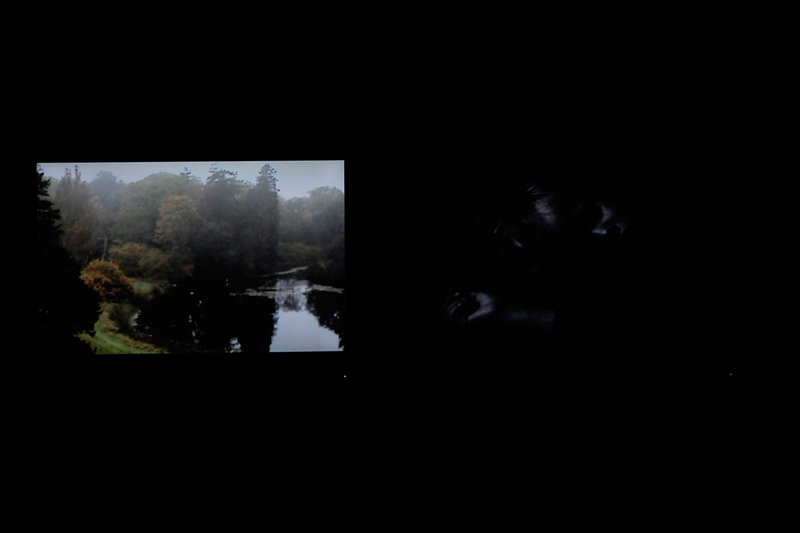 Ariel I is made up of two films which run alongside each other. 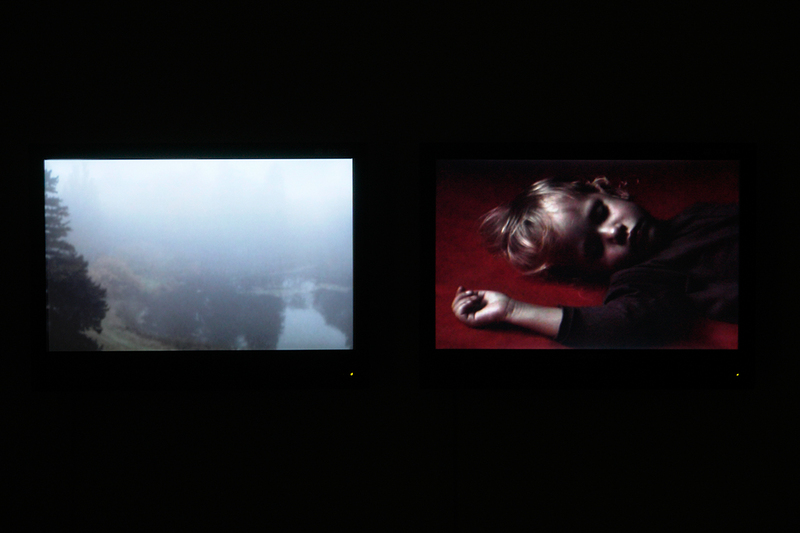 One depicts a child sleeping, the other a foggy landscape. 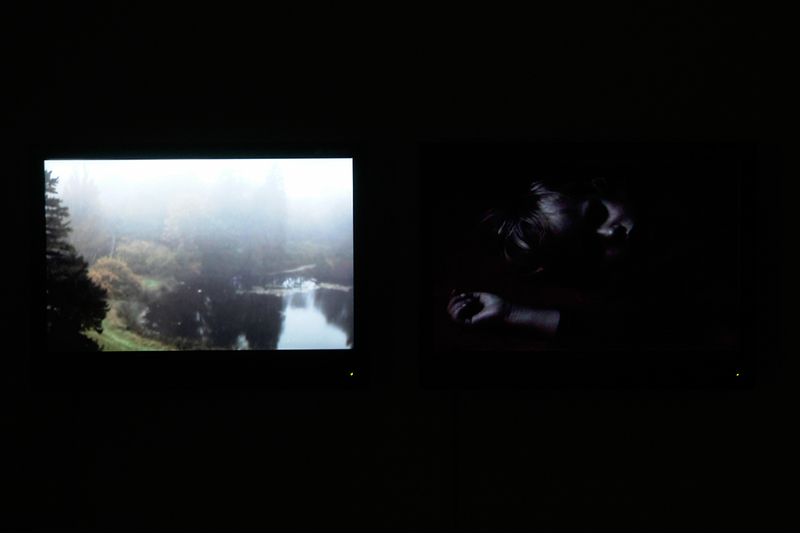 In both these films they are shot from a single viewpoint and the light slowly changes, while the child becomes hidden by the light fading, the fog of the landscape is lifting and the view becomes more and more defined. These subtle changes in light happen very slowly, and naturally, and are at first difficult to recognise. More distinct events which one would usually overlook are thereby exaggerated - a flock of birds crossing a scene or a child's sleeping hand switching.